For the exterior image on this thing, we went with a combination of various influences. Kicking things off with the general shape and stance, we went with the LaFerrari as a good starting point, which meant it would need to be extremely wide, extremely low, hugely angular, and razor sharp. Painting it a searing shade of Rosso Corsa helps as well. From there, we pulled from various influences to inform the detail styling in the nose, intakes, wings, wheels, side pods and more. 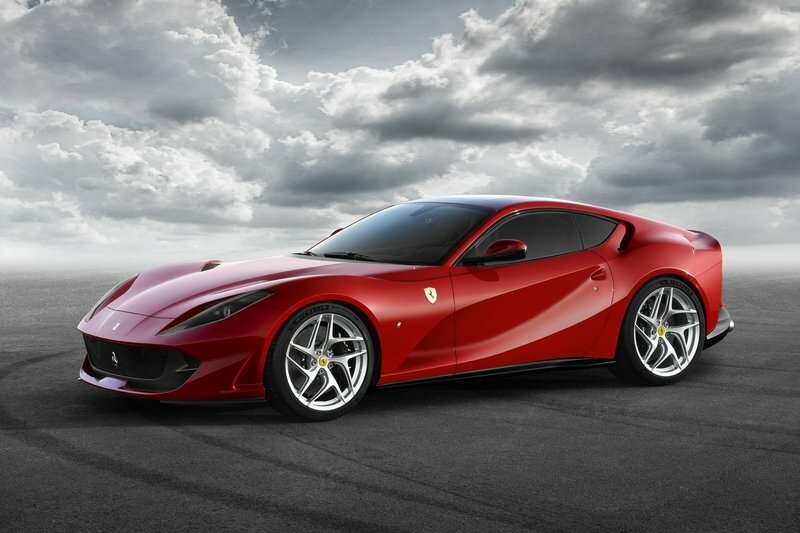 The latest Ferrari model, the 812 Superfast, is a good indication of where Ferrari is headed styling wise, while the LaFerari FXX K provides the right kind of spaceship cues required for such a high-tech machine. We also looked to the wild and zany Formula E racers for a little extra of that modern racer touch. We threw in a little Pininfarina Sergio concept as well, just for good measure. 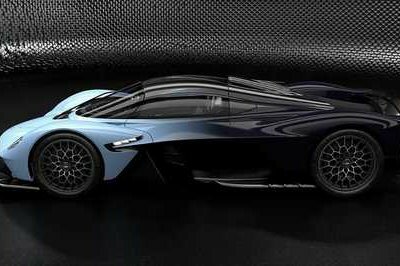 We like to think of the styling as an FXX K that was modified by inter-dimensional beings to run on antimatter. The result, as you can plainly see, is enough angles and cuts to slice up your eyeballs if you look at it too hard. Wings and intakes and stabilizers and vortex generators are everywhere. 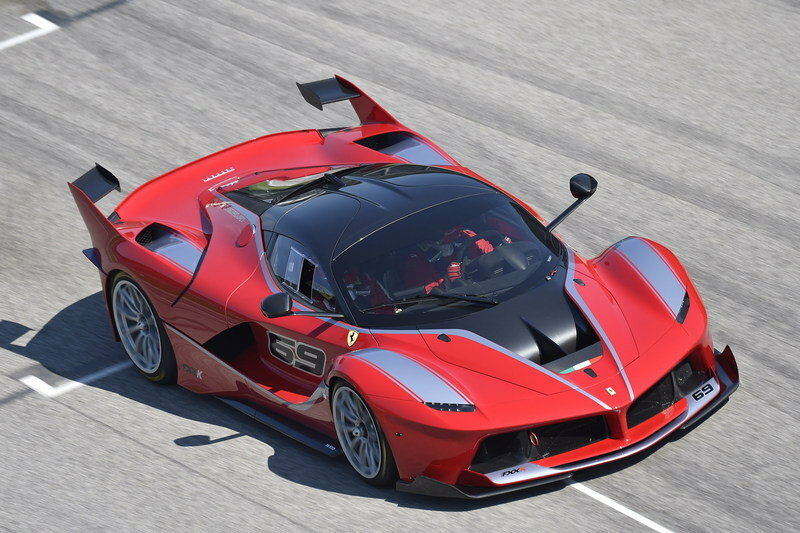 We like to think of the styling as an FXX K that was modified by inter-dimensional beings to run on antimatter. 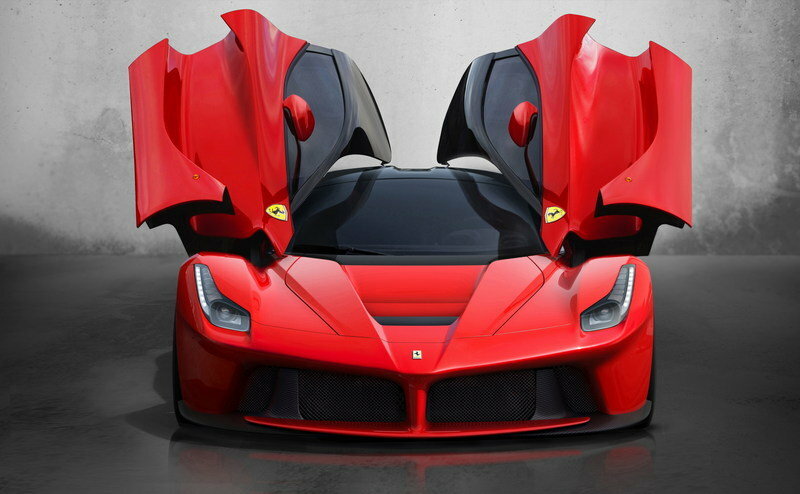 Practically speaking, an EV LaFerrari successor would come equipped with the very latest in active aerodynamics. All those various bits and pieces would move and adjust to whatever the situation may be, flattening out for less drag on the straights and popping up for more downforce in the corners. The rear wing angle would adjust quickly to compensate under braking, while cold air would get fed to all the right spots, in particular the brakes and battery pack. Closest to the pavement, the LaFerrari Successor would have a flat underbody, pressed into the pavement by the atmosphere rushing around it. 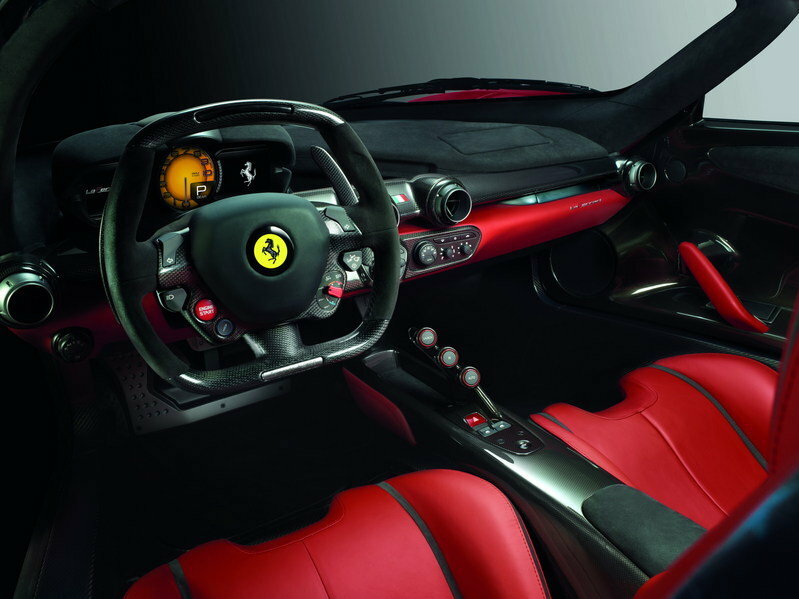 Note: Ferrari LeFerrari interior pictured here. 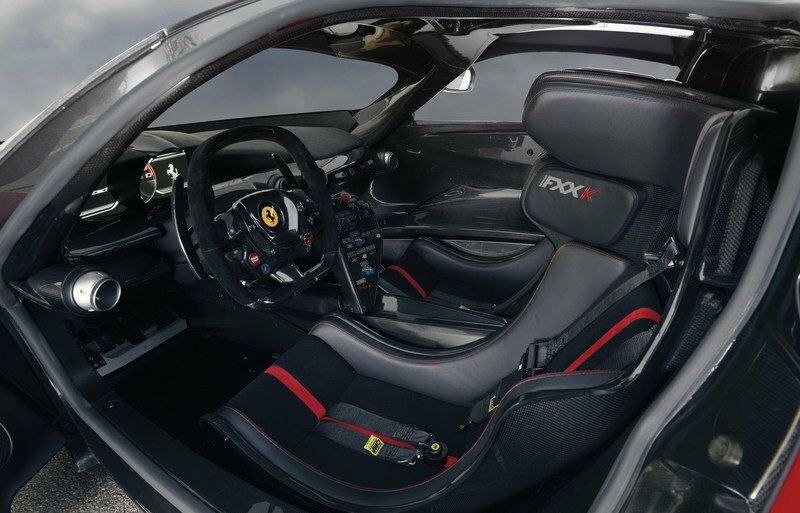 For an idea of what the LaFerrari Successor’s cabin might look like, it makes sense to once again start with the current LaFerrari as a baseline. Clearly, this is an interior that’s focused almost entirely on providing the driver with feedback and engagement, with very little in terms of luxury frills and opulence on board. Of course, that isn’t to say the interior will be completely devoid of comfort, like some kind of fresh-from-the-pits race car. Rather, passengers will still find a few conciliations to ease their backsides. The materials, for example, will include a good deal of leather and Alcantara, while rounded air vents will provide air conditioning or heat, as the situation may warrant. The color scheme will be two-tone, with black and red pervading throughout, offset with red contrast stitching and other small details. 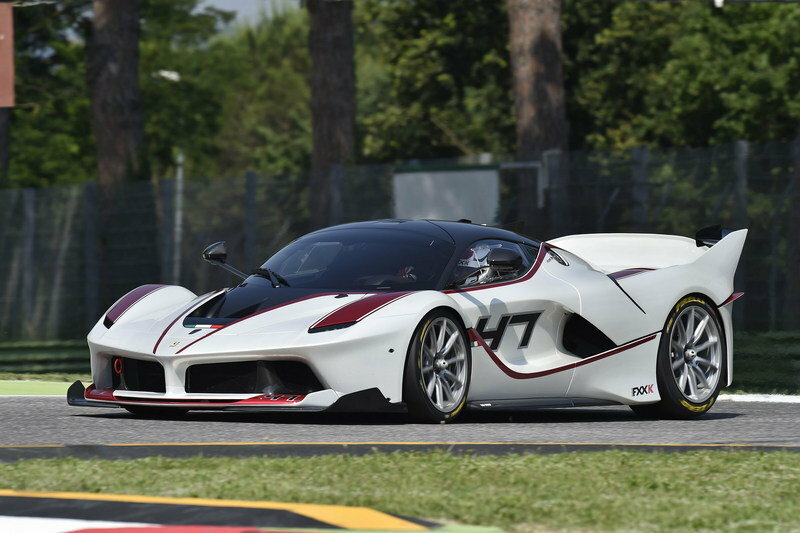 Note: Ferrari FXX K pictured here. While the LaFerrari Successor will be streetable, the emphasis won’t stray far from the race track, and Formula 1 in particular. 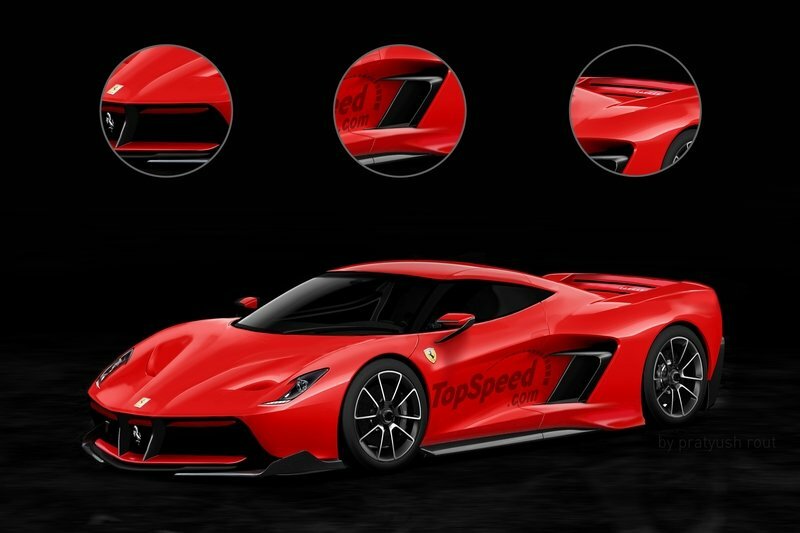 But while the LaFerrari Successor will be streetable, the emphasis won’t stray far from the race track, and Formula 1 in particular. The seats will be highly bolstered units complete with the option for racing harnesses, while the steering wheel will be square in shape and come outfitted with a slew of extra buttons knobs to tune the set-up while on the fly, be it new suspension settings, new traction control settings, or something similar. Billet pedals will be in the foot well, while carbon fiber will be omnipresent, extending from the dash, to the steering wheel, to the center console, and side sills. Further buttons and knobs will be scattered throughout, while a digital gauge readout will provide all the necessary info for the driver. Doors with top-mounted hinges, which will allow them to open up and outwards, will aid ingress and egress. Doors with top-mounted hinges, which will allow them to open up and outwards, will aid ingress and egress. Not only do these types of doors add to the drama of your arrival, but they also help to keep the bodywork focused on important stuff like downforce, rather accommodating the swing of an outward-facing door. The drivetrain is without a doubt the biggest question mark in this speculative review. What will Ferrari choose as the proper power unit for its very first EV? Let’s start with the basics. 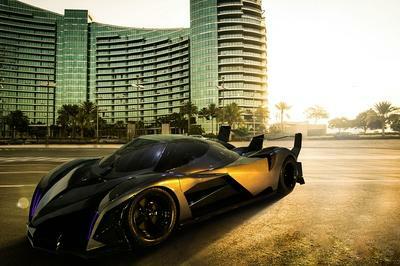 First off, this thing is gonna need to be immensely powerful, outdoing to LaFerrari by a considerable margin. Of course, that’s easier said than done, especially considering the LaFerrari makes a whopping 949 horsepower and 664 pound-feet of torque. Luckily, modern EV super cars now pushing deep into the four-digit output range. 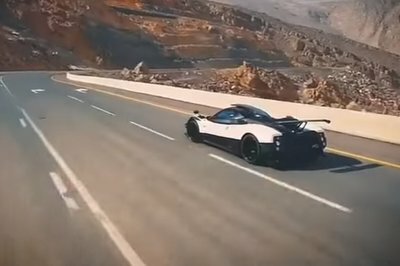 The Rimac Concept_One, for example, makes as much as 1,072 horsepower and 1,180 pound-feet of torque. 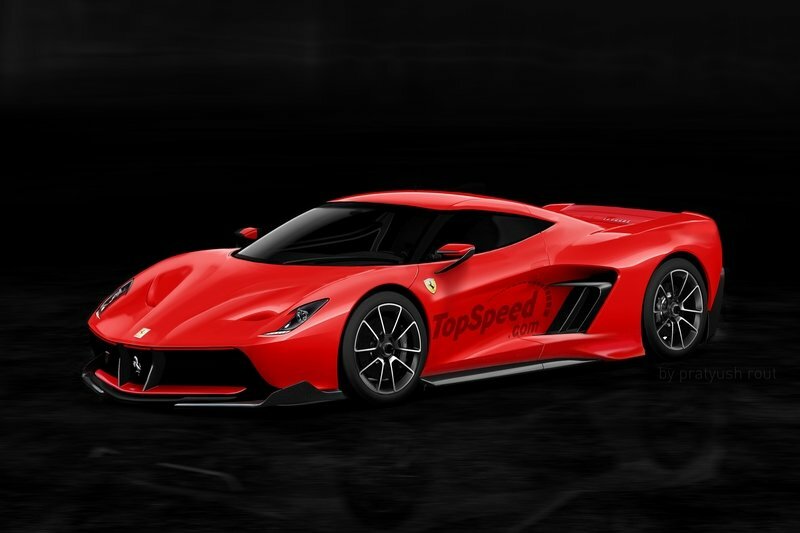 But to properly fulfill its role of all-electric Ferrari, the LaFerrari Successor will need to go even further – something like 1,200 horsepower feels about right, plus 1,400 pound-feet of torque to boot. Something like 1,200 horsepower feels about right, plus 1,400 pound-feet of torque to boot. All that output would likely come from an upgraded lithium-ion battery pack mounted in the floor, although by the time an EV LaFerrari successor finally makes it into the market, battery tech could see a significant update. Graphene is one possible direction we could be seeing in the next five to 10 years. 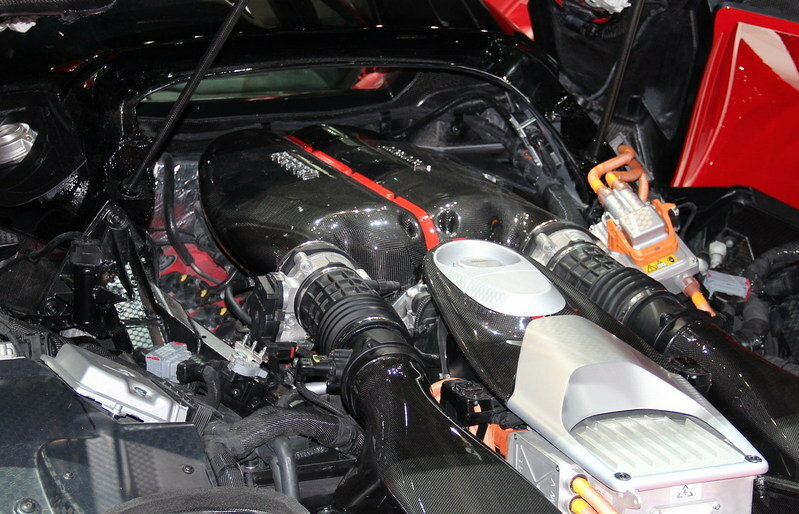 Either way, all that power would hit the ground through a series of individual gearboxes, which would help to extend the car’s top speed considerably, while also maximizing acceleration. 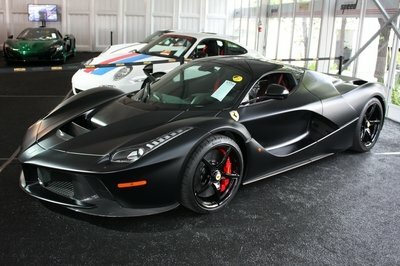 Furthermore, it would make sense to give the EV LaFerrari Successor AWD grip. The Prancing Horse already broke the seal on that one with the Ferrari FF, and given just how much a break from tradition a Ferrari EV would, the addition of AWD shouldn’t be that big of an issue for stubborn purists. Expect to see 60 mph in a neck-snapping 2 seconds flat, while top speed will reach upwards of 230 mph. Put your foot down, and you should expect to see 60 mph in a neck-snapping 2 seconds flat, while top speed will reach upwards of 230 mph. So yeah, it should be quick, even if it doesn’t come with that iconic Ferrari noise. But who knows – maybe the engineers can find a way to make the electric whine more appealing than the standard blender noise we get today. Multiple drive modes will help fine-tune the LaFerrari successor depending on the situation at hand. A street mode will cut back on output to give the EV greater range per charge, while DC quick charging should be an available option. That said, Ferrari probably won’t pay too much attention to the practical aspects of its EV. 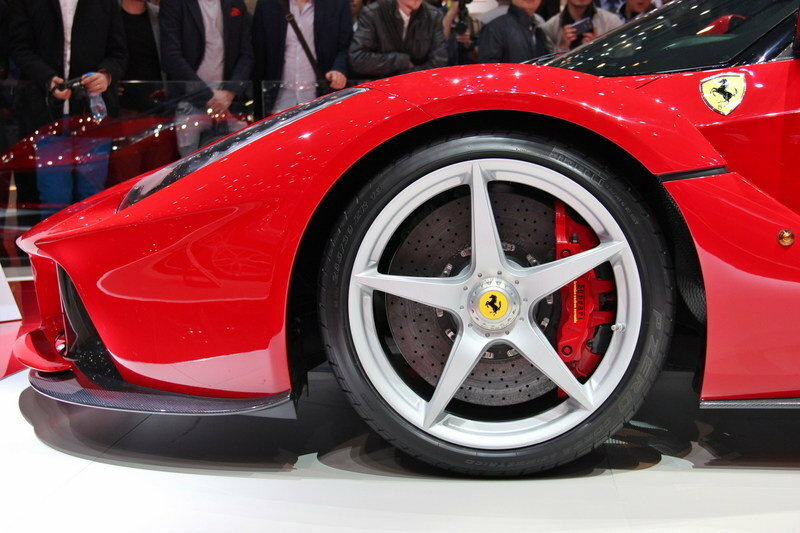 Note: Ferrari LaFerrari suspension pictured here. If Ferrari is gonna do an EV, it’s gonna need the proper handling chops to go with the badge. 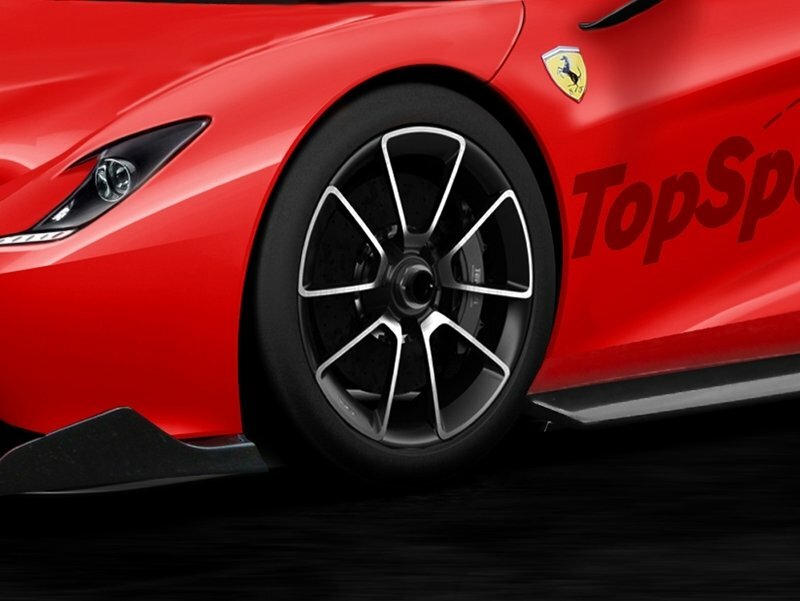 Even with all four wheels driven, that shouldn’t be too much of an issue, especially if Ferrari tosses in motorsport-bred systems like advanced torque vectoring. Drivers will enjoy the rear-biased feel, but the extra grip will help put down as much of that absurd power figure as possible. Complementing the AWD will be advanced traction control, which will offer drivers a wide variety of settings to mess around with. Drivers will enjoy the rear-biased feel, with further handling refinements provided by active suspension and active aero. Further handling refinements will come from the active suspension and active aero, which will work on concert with the traction control and torque vectoring systems to give the LaFerrari the best possible outcome when slinging through the corners. Of course, a car like this will need all the help it can get, because it’s likely gonna weight a lot. Even with exotic materials like magnesium and titanium, plus copious carbon fiber and a generous helping of aluminum, EV’s are typically very heavy. 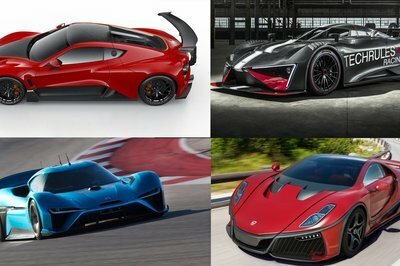 We expect something like a LaFerrari Successor to weigh in at about 4,000 pounds, which will tax the ultra-wide sticky rubber pretty heavily during extended track sessions. As with any high-end Ferrari, expect the LaFerrari successor to be unbelievably expensive and produced in extremely limited quantities. We would expect pricing to slot in at around $2 million, with production limited to just a few hundred units total. 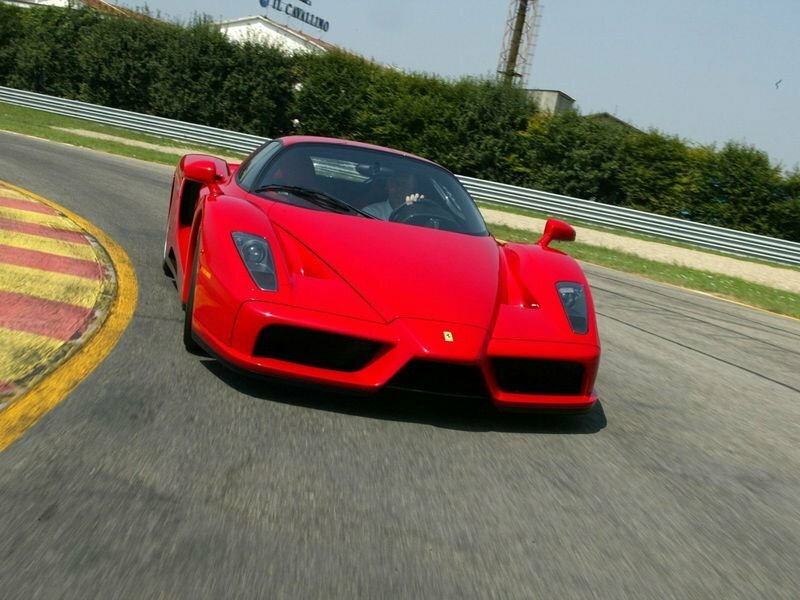 Read our full review on the 2002-2004 Ferrari Enzo. 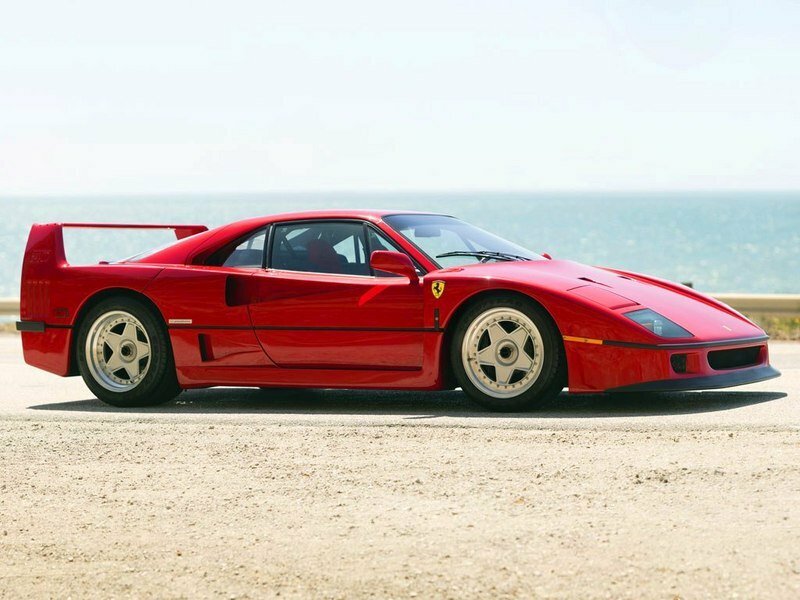 Read our full review on the 1987-1992 Ferrari F40. 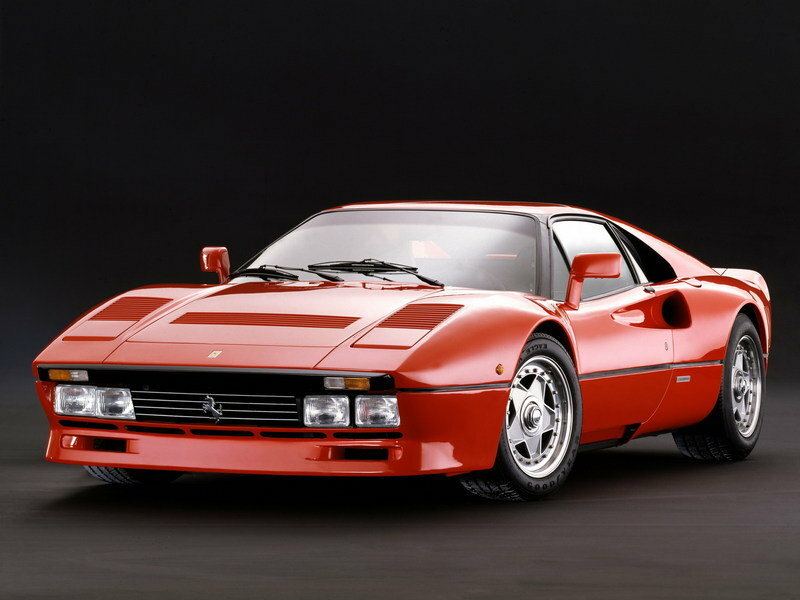 Read our full review on the 1985 Ferrari 288 GTO. Time waits for no one, even if you’re the most widely recognized sports car manufacturer on the face of the planet. Eventually, perhaps even decades down the road, Ferrari will need to face the fact that internal combustion will ultimately yield to the next step in personal vehicle transportation. And although Ferrari is resisting the idea, the stage is set for the move to all-electric power sooner rather than later. Just look at the Tesla Model S, one of the biggest game changers in the world EV’s, a vehicle that’s resetting the performance benchmark with simply Ludicrous acceleration and the speed chops to challenge the best of the best from the gas camp. Or consider the headlines made by this 1978 Ferrari 308 GTS by Electric GT, further proof that interest in an EV Ferrari is here, and here to stay. Although Ferrari is resisting the idea, the stage is set for the move to all-electric power sooner rather than later. All told, an EV LaFerrari Successor would need to be a standalone model, built from the ground up as the ultimate in all-electric performance, trouncing the competition with relative ease. This would declare a new direction for the company, a step into the future, but without forgoing the company’s motorsport past. The same ridiculousness as before would remain – crazy speed, crazy performance, crazy specs, crazy price, and crazy styling, all with just a battery for motivation. Are we crazy to even suggest such a thing? Possibly. Let us know your opinions in the comments.